Being more efficient by reducing picking & packaging times for e-retailers is becoming an important part of their business focus. Increasing employee productivity can be acheived with PAF Systems bespoke workcell systems. With PAF bespoke workstations everything is at hand which reduces the travel time that normally occurs when walking to & from different collection & packing areas. 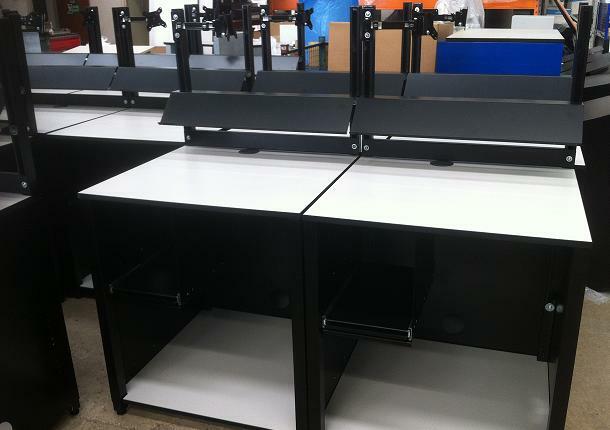 Available bespoke additions include monitor swing arms, label printer pull-out trays, rear power supply, undershelf storage & optional rear back panels for order picking & product storage. Contact our helpdesk for more information: 01933 403555.